A. Foreclosure is the process in which a lender takes back a property they have financed. They do this when the borrower or homeowner is behind on house payments and is unable to catch up. When the lender forecloses on the homeowner, the homeowner must move out of the house, losing all possession of the property and jeopardizing any possible equity that the homeowner may have in the home. There is a legal time frame, which varies from state to state, and determines how long the foreclosure process can take. Q. What can loss mitigation do for me? A. The goal of loss mitigation is to work out an agreement between the homeowner and the lender that will resolve foreclosure proceedings permanently. They often involve modifying the existing loan. Loss mitigation can allow homeowners to stay in their home and save their credit from further harm. Currently there are several Federally funded programs rewarding lenders for working out a plan for you to stay in your home. We can also refer to a company who can work with the lender on your behalf. Q. 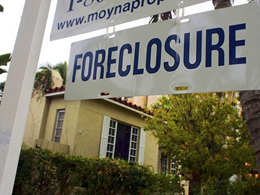 How do we stop foreclosure? A. Our company is experienced in helping homeowners deal with their mortgage delinquencies. To know your options, go here now to receive no cost phone consultation to determine your needs. Q. How long do I have to act? A. 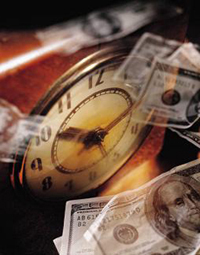 Time is of the essence when you are behind on house payments. Each day that passes makes it that harder to get an agreement worked out with your lender. For more on this, see Action Steps. Q. Should I negotiate with the lender myself? A. That’s up to you. Once your lender has hired the services of an attorney to begin the foreclosure proceedings you can still negotiate with your lender as long as you haven’t filed for bankruptcy. In this case you may be able to work out an agreement with the lender yourself. It can be helpful to involve an experienced loss mitigator, but remember, don’t waste a lot of time. Whatever you do, do as quickly as possible. Q. Do I have enough time to stop my foreclosure? A. Up until the foreclosure sale occurs there is still hope. If a sale date for your house has been set, you need to act fast. We have stopped sales on their auction day, but this is quite risky and some lenders will not agree to it. Within 5 days before the sale date the lender does not have to accept a reinstatement that brings the loan current. You’re best option is to take action now to stop foreclosure before it goes too far. Q. I'm currently in bankruptcy. Can you still help? A. Yes. It is possible for a third party to negotiate on your behalf while you are in bankruptcy. But we cannot finalize an agreement with your lender until your mortgage has been discharged or dismissed from the bankruptcy proceedings. Q. I've already talked with my lender and they just want all their money. Can you still help me? A. Yes. Most of our clients have experienced this kind of inflexibility from their lenders before calling us. Lenders vary greatly but most will listen when you know how to present your situation correctly to them. Our short sale negotiation team has years of experience! Q. Should I file for bankruptcy to save my house? A. Maybe. The American Bar Association has reported that 96% of homeowners who declare bankruptcy end up losing their home to foreclosure anyway. So, if you declare bankruptcy you will likely end up with both a bankruptcy and a foreclosure on your credit report. That being said, there certainly are times when bankruptcy is appropriate and we recommend you consult a reputable attorney if that is the route you wish to take. Q. Do I need to have a special type of mortgage loan to get help? A. No. You can resolve government and non-government mortgage delinquencies or home foreclosure claims. These can be FHA, HUD, GRH (Guaranteed Rural Housing), VA, Freddie Mac, Fannie Mae, or conventional loans that have become delinquent. Q. What if I can no longer afford my home? Can you help me? A. Yes. If you are certain that you cannot afford your home any longer and wish to sell, we can help you to secure a short sale payoff with your lender or make a traditional offer if you have equity. These agreements can be arranged at no cost to you. and/or save your credit from further harm.